The house that I grew up in was built sometime in the late fifties/early sixties and my family was maybe the second or third family that had lived there. We had this little crawl space that was under the house that if you went under there you would occasionally find little things from days gone by. Once, I found this coffee can that looked like had been let behind by someone building the house. There was ten cents in it and I thought that I had won the lottery. I would go under the house every so often to try and find something but I never got anything bigger than that one time. However, the thrill of finding something or even thinking that you are going to find something is a feeling that you can never replace. Hidden treasure comes in all shapes and sizes. But it usually comes into people’s lives when they’re least expecting it. Perhaps, they’re doing a home renovation and find a hidden room that contains a safe. Or maybe they’re looking in their yard and come across a hidden bunker loaded with things that come from years and years ago. 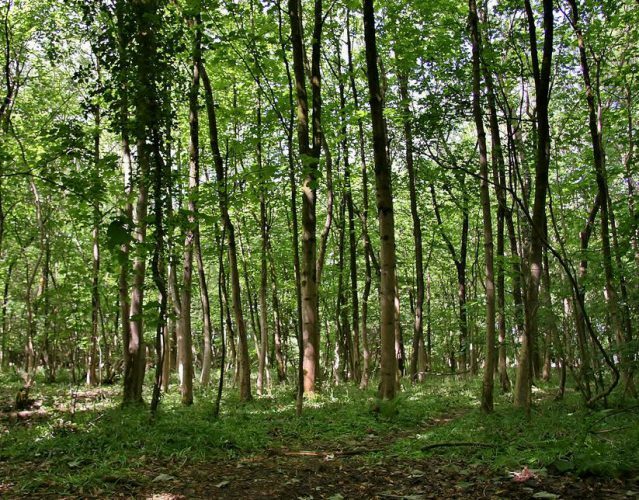 For one couple, hidden treasure revealed itself to them in the best way possible. And now they’re set up for early retirements. The couple, who live in Northern California, was walking along their property when they stumbled upon a rusty can in the dirt. It looked old, and it was a piece of history if nothing else. That’s what they told themselves as they fished the dirt-caked can out of the ground. But as they shook it, their curiosity grew. It was filled with something. And they were going to find out what. Although the California couple expected the can to be filled with rocks, they were greeted with something so much better. It was filled with something that came from the earth – a type of metal – but it had enough value to change the financial course of their lives. Inside the can was a plethora of gold coins, many of which dated back to the Gold Rush of the 1800s. However, there wasn’t just one can in their yard. 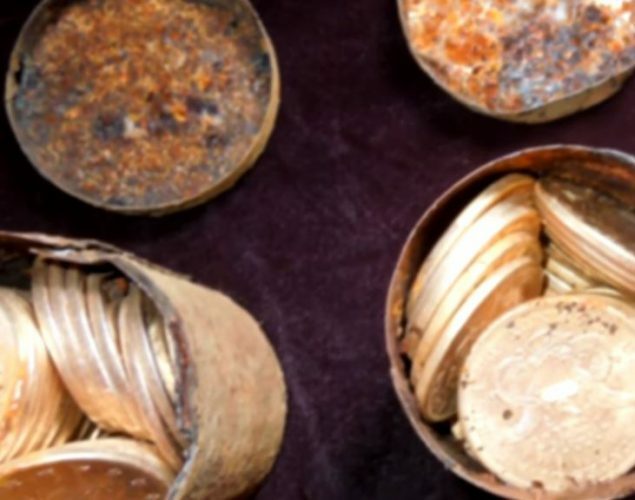 The couple found a total of eight cans, all loaded with gold coins in great condition. After doing their research, the couple learned their gold coin find was worth about $10 million. They basically hit the lottery jackpot! Don Kagin, a veteran numismatist who represented the couple, spoke to CBS News on their behalf. And he admitted that even though he has built his career around handing rare and valuable coins, he doesn’t hear stories like this very often. This couple literally found buried treasure in their yard. In this connection, a smaller training program will stand a an associate good stead. Write a keyword title that correctly describes what your page concerns. Now watch the state of California try to either make a claim on the find or tax the find somehow. Howdy would you mind stating which blog platform you’re using? I’m going to start my own blog soon but I’m having a hard time deciding between BlogEngine/Wordpress/B2evolution and Drupal. The reason I ask is because your layout seems different then most blogs and I’m looking for something completely unique. P.S Sorry for getting off-topic but I had to ask! What i do not understood is actually how you are now not really much more smartly-favored than you may be now. You are very intelligent. You already know therefore significantly in relation to this topic, produced me personally believe it from so many various angles. Its like women and men are not involved except it is one thing to accomplish with Girl gaga! Your own stuffs outstanding. All the time take care of it up! Hey would you mind letting me know which web host you’re working with? I’ve loaded your blog in 3 completely different internet browsers and I must say this blog loads a lot faster then most. Can you recommend a good web hosting provider at a fair price? Thanks, I appreciate it!